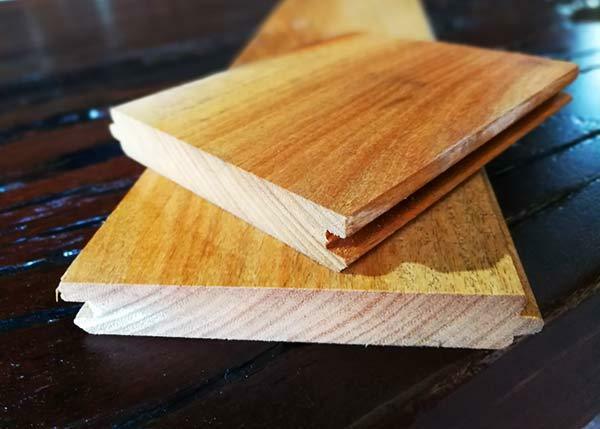 Fremantle Timber Traders are renowned for quality recycled and reclaimed milled timber flooring. 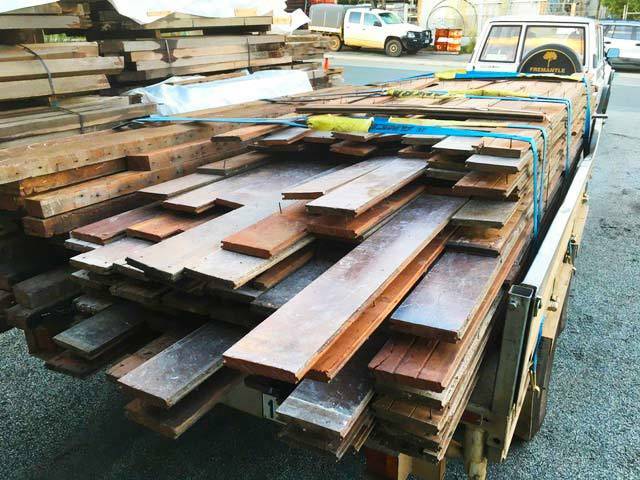 We salvage beautiful West Australian hardwoods and re-work them into stunning hardwood flooring. Our flooring is reworked with precision machining and the strictest of quality control to deliver solid recycled timber flooring. 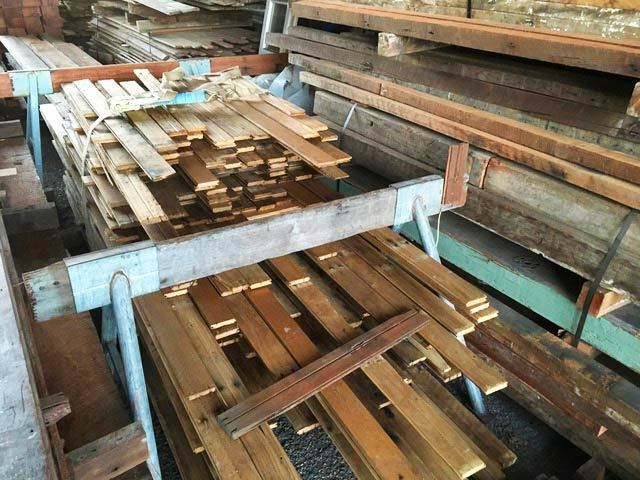 We supply recycled flooring which comes from houses and commercial buildings, which we bring back to our workshop and de-nail, clean the tongue and grooves and fault dock. Each house lot of flooring goes through this quality process. Keeping our batches together - Our re-claimed flooring is not mixed up with different house lots. Tongue & Groove profiles can vary greatly. Each house is different and if you mix up house lots, it becomes a nightmare for the floor layer to install and reduces the quality of the finished product. This will often result in gaps and height differences. We measure floorboard thickness - Any less than 5mm above the Tongue may break under pressure after sanding. We measure the thickness of our floorboards (how much material above the tongue), which determines the life of your floor. If the floorboards are 5mm or less, we will not consider it / consider them unusable. 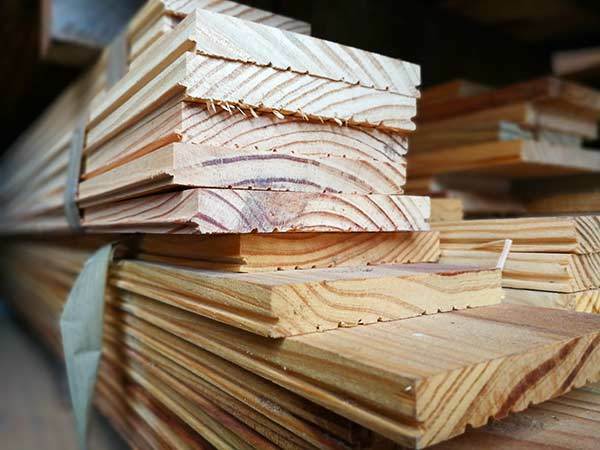 It's not uncommon for tradesman to sell low quality timber which can cost you thousands and a lot of wasted time. Cleaning Tongue & Grooves - Grit & Varnish build up can prevent a clean join between floorboards. We clean the tongues and grooves of all our flooring, which makes for a nice fit. Correctly storing Floorboards - Wet floorboards will shrink after being laid. All our flooring is kept dry and out of the weather. These simple quality checks can make a fundamental difference to the structural integrity of your timber flooring project. Re-claimed timber flooring is often rich with history and ensures no harm is done to our environment. With the right knowledge, this timber is perfect for creating eye catching modern or rustic living spaces. 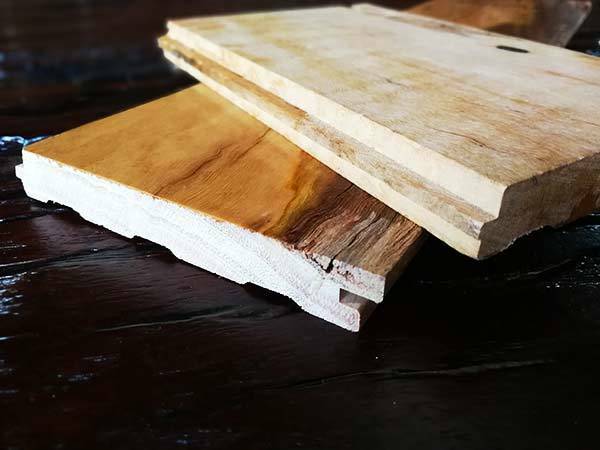 We also cut to order flooring into any size from recycled timber, allowing for flooring in unusual sizes, giving you complete control over the look and feel of your hardwood floors. We work with a number of professional floor layers so we can quote to supply and our floor layers can quote to sand and seal. Maritime Pine grows extensively on plantations in France, making it a popular timber for interior design in Europe. Once sanded and polished, this timber features rich blues and greens against the yellow of the pine. Please contact Terry to discuss our complete range of flooring timber available. 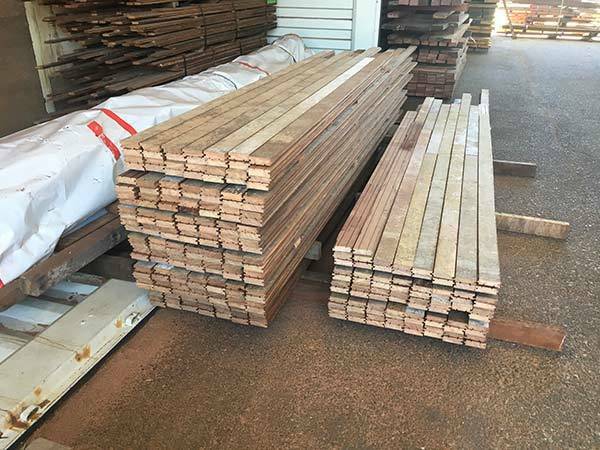 Recycled Timber is readily available at our Fremantle Warehouse in Perth, in all shapes, sizes and forms - from Hardwood Slabs, Posts, Beams, Bush Poles, Gluts, Wharf Timber, Railway Sleepers, Stair Treads, Recycled timber flooring Perth to Re-milled Decking and more!